Life often presents us with paradoxes, but seldom so blatant or consequential as the following. Read this sentence slowly: Today it is especially difficult for most people to understand our perilous global energy situation, precisely because it has never been more important to do so. Got that? No? Okay, let me explain. I must begin by briefly retracing developments in a seemingly unrelated field—climate science. Once upon a time, the idea that Earth’s climate could be changing due to human-caused carbon dioxide emissions was just a lonely, unpopular scientific hypothesis. Through years that stretched to decades, researchers patiently gathered troves of evidence to test that hypothesis. The great majority of evidence collected tended to confirm the notion that rising atmospheric carbon dioxide (and other greenhouse gas) levels raise average global temperatures and provoke an increase in extreme weather events. Nearly all climate scientists were gradually persuaded of the correctness of the global warming hypothesis. But a funny thing happened along the way. Clearly, if the climate is changing rapidly and dramatically as a result of human action, and if climate change (of the scale and speed that’s anticipated) is likely to undermine ecosystems and economies, then it stands to reason that humans should stop emitting so much CO2. In practical effect, this would mean dramatically reducing our burning of fossil fuels—the main drivers of economic growth since the beginning of the Industrial Revolution. Some business-friendly folks with political connections soon became alarmed at both the policy implications of—and the likely short-term economic fallout from—the way climate science was developing, and decided to do everything they could to question, denigrate, and deny the climate change hypothesis. Their effort succeeded: belief in climate change now aligns fairly closely with political affiliation. Most Democratic elected officials agree that the issue is real and important, and most of their Republican counterparts are skeptical. Lacking bipartisan support, legislative climate policy languished. From a policy standpoint, climate change is effectively an energy issue, since reducing carbon emissions will require a nearly complete revamping of our energy systems. Energy is, by definition, humanity’s most basic source of power, and since politics is a contest over power (albeit social power), it should not be surprising that energy is politically contested. A politician’s most basic tools are power and persuasion, and the ability to frame issues. And the tactics of political argument inevitably range well beyond logic and critical thinking. Therefore politicians can and often do make it harder for people to understand energy issues than would be the case if accurate, unbiased information were freely available. So here is the reason for the paradox stated in the first paragraph: As energy issues become more critically important to society’s economic and ecological survival, they become more politically contested; and as a result, they tend to become obscured by a fog of exaggeration, half-truth, omission, and outright prevarication. How does one cut through this fog to gain a more accurate view of what’s happening in our society’s vital energy supply-and-support systems? It’s helpful to start by understanding the positions and motives of the political actors. For the sake of argument, I will caricature two political positions. Let’s personify them as Politician A and Politician B. Politician A has for many years sided with big business, and specifically with the fossil fuel industry in all energy disputes. She sees coal, oil, and natural gas as gifts of nature to be used by humanity to produce as much wealth as possible, as quickly as possible. She asserts there are sufficient supplies of these fuels to meet the needs of future generations, even if we use them at rapidly increasing rates. When coal, oil, and gas do eventually start to run out, Politician A says we can always turn to nuclear energy. In her view, the harvesting and burning of fossil fuels can be accomplished with few incidental environmental problems, and fossil fuel companies can be trusted to use the safest methods available. And if Earth’s climate is indeed changing, she says, this is not due to the burning of fossil fuels; therefore, policies meant to cut fossil fuel consumption are unnecessary and economically damaging. Finally, she says renewable energy sources should not be subsidized by government, but should stand or fall according to their own economic merits. Politician B regards oil, coal, and natural gas as polluting substances, and society’s addiction to them is shameful. He thinks oil prices are high because petroleum companies gouge their customers; nuclear energy is too dangerous to contemplate; and renewable energy sources are benign (with supplies of sunlight and wind vastly exceeding our energy needs). To hear him tell it, the only reason solar and wind still supply such a small percentage of our total energy is that fossil fuel companies are politically powerful, benefiting from generous, often hidden, government subsidies. Government should cut those subsidies and support renewable energy instead. He believes climate change is a serious problem, and to mitigate it we should put a price on carbon emissions. If we do, Politician B says, renewable energy industries will grow rapidly, creating jobs and boosting the economy. Who is right? Well, this should be easy to determine. Just ignore the foaming rhetoric and focus on research findings. But in reality that’s not easy at all, because research is itself often politicized. Studies can be designed from the outset to give results that are friendly to the preconceptions and prejudices of one partisan group or another. For example, there are studies that appear to show that the oil and natural gas production technique known as hydrofracturing (or “fracking”) is safe for the environment. With research in hand, industry representatives calmly inform us that there have been no confirmed instances of fracking fluids contaminating water tables. The implication: environmentalists who complain about the dangers of fracking simply don’t know what they’re talking about. However, there are indeed many documented instances of water pollution associated with fracking, though technically most of these have resulted from the improper disposal of wastewater produced once fracking per se is finished, rather than from the hydrofracturing process itself. Further, industry-funded studies of fracking typically focus on sites where best practices are in place and equipment is working as designed—the ideal scenario. In the messy real world, well casings sometimes fail, operators cut corners, and equipment occasionally malfunctions. For their part, environmentalists point to peer-reviewed studies showing air, water, and human health problems associated with actual (far from ideal) fracking operations. So, depending on your prior beliefs, you can often choose research findings to support them—even if the studies you are citing are actually highly misleading. Renewable energy is just as contentious. Mark Jacobson, professor of environmental engineering at Stanford University, has co-authored a series of reports and scientific papers arguing that solar, wind, and hydropower could provide 100 percent of world energy by 2030. Clearly, Jacobson’s work supports Politician B’s political narrative by showing that the climate problem can be solved with little or no economic sacrifice. If Jacobson is right, then it is only the fossil fuel companies and their supporters that stand in the way of a solution to our environmental (and economic) problems. The Sierra Club and prominent Hollywood stars have latched onto Jacobson’s work and promote it enthusiastically. However, Jacobson’s publications have provoked thoughtful criticism, some of it from supporters of renewable energy, who argue that his “100 percent renewables by 2030” scenario ignores hidden costs, land use and environmental problems, and grid limits (see here, here, and here. Jacobson has replied to his critics, well, energetically (here and here). At the other end of the opinion spectrum on renewable energy is Gail Tverberg, an actuary by training and profession (and no shill for the fossil fuel industry), whose analysis suggests that the more solar and wind generating capacity we build, the worse off we are from an economic point of view. Her conclusion flatly contradicts that of this report, which aims to show that the more renewables we build, the more money we’ll save. Ecologist Charles Hall has determined that the ratio of energy returned to energy invested in capturing solar energy with photovoltaic (PV) panels is too low to support an industrial economy. Meanwhile the solar industry claims that PV can provide all of society’s power needs. Global wind capacity may have been seriously over-estimated. But then again, maybe not . In sum, if you’re looking for quick and simple answers to questions about how much renewables can do for us, at what price, and over what time frame, forget it! These questions are far from being settled. There’s a saying: For every Ph.D., there is an equal and opposite Ph.D. Does this mean science is useless, and objective reality is whatever you want it to be? Of course not. However, politics and cultural bias can and do muddy the process and results of scientific research. All of this is inevitable; it’s human nature. We’ll sort through the confusion, given time and the hard knocks that inevitably come when preconceptions veer too far from the facts. However, if the more worrisome implications of climate science are right, we may not have a lot of time for sorting, and our knocks may be very hard indeed. Here’s a corollary to my thesis: Political prejudices tend to blind us to facts that fail to fit any conventional political agendas. All political narratives need a villain and a (potential) happy ending. While Politicians B and A might point to different villains (oil companies on one hand, government bureaucrats and regulators on the other), they both envision the same happy ending: economic growth, though it is to be achieved by contrasting means. If a fact doesn’t fit one of these two narratives, the offended politician tends to ignore it (or attempt to deny it). If it doesn’t fit either narrative, nearly everyone ignores it. Here’s a fact that apparently fails to comfortably fit into either political narrative: The energy and financial returns on fossil fuel extraction are declining—fast. The top five oil majors (ExxonMobil, BP, Shell, Chevron, and Total) have seen their aggregate production fall by over 25 percent over the past 12 years—but it’s not for lack of effort. Drilling rates have doubled. Rates of capital investment in exploration and production have likewise doubled. Oil prices have quadrupled. Yet actual global rates of production for regular crude oil have flattened, and all new production has come from expensive unconventional sources such as tar sands, tight oil, and deepwater oil. The fossil fuel industry hates to admit to facts that investors find scary—especially now, as the industry needs investors to pony up ever-larger bets to pay for ever-more-extreme production projects. In the past few years, high oil prices have provided the incentive for small, highly leveraged, and risk-friendly companies to go after some of the last, worst oil and gas production prospects in North America—formations known to geologists as “source rocks,” which require operators to use horizontal drilling and fracking technology to free up trapped hydrocarbons. The energy returned on energy invested in producing shale gas and tight oil from these formations is minimal. While US oil and gas production rates have temporarily spiked, all signs indicate that this will be a brief boom that will not change the overall situation significantly: society is reaching the point of diminishing returns with regard to the economic benefits of fossil fuel extraction. And what about our imaginary politicians? Politician A wouldn’t want to talk about any of this for fairly obvious reasons. But, strangely, Politician B likely would avoid the subject too: while he might portray the petroleum industry as an ogre, his narrative requires it to be a powerful one. Also, he probably doesn’t like to think that gasoline prices might be high due to oil depletion rather than simply the greed of the petroleum barons. Motives can be complicated; perhaps both feel the patriotic urge to cheer domestic energy production, regardless of its source and in spite of evidence of declining returns on investment. Perhaps both understand that declining energy returns imply really bad news for the economy, regardless which party is in power. In any case, mum’s the word. Some facts seem to fit one narrative or the other but, when combined, point to a reality that undermines both narratives. What if climate change is an even worse problem than most of us assume, and there is no realistic way to deal seriously with it and still have economic growth? In the real world of US politics, many Democrats would agree with the first part of the sentence, many Republicans with the second. Yet both parties would flee from endorsing the statement as a whole. Nevertheless, this seems to be where the data are driving us. Actual climate impacts have consistently outpaced the worst-case forecasts that the UN’s International Panel on Climate Change (IPCC) has issued during the past two decades. That means curbing carbon emissions is even more urgent than almost anyone previously thought. The math has changed. At this point, the rate of reduction in fossil fuel consumption required in order to avert catastrophic climate change may be higher, possibly much higher, than the realistically possible rate of replacement with energy from alternative sources. 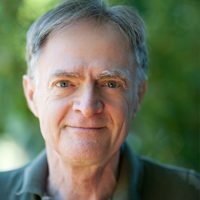 Climatologist Kevin Anderson of the UK-based Tyndall Centre figures that industrial nations need to cut carbon emissions by up to 10 percent per year to avert catastrophe, and that such a rapid reduction would be “incompatible with economic growth.” What if Anderson is right? The problem of transitioning quickly away from fossil fuels while maintaining economic growth is exacerbated by the unique characteristics of different energy sources. Here’s just one example of the difficulty of replacing oil while maintaining economic growth. Oil just happens to be the perfect transport fuel: it stores a lot of energy per unit of weight and volume. Electric batteries can’t match its performance. Plug-in cars exist, of course (less than one percent of new cars sold this year in the US will be plug-in electrics), but batteries cannot propel airliners or long-haul, 18-wheel truck rigs. Yet the trucking and airline industries just happen to be significant components of our economy; can we abandon or significantly downsize them and grow the economy as we do so? What about non-transport replacements for fossil fuels? Well, both nuclear power stations and renewable energy systems have high up-front investment costs. If you factor in all the financial and energy costs (something the solar, wind, and nuclear industries are reluctant to do), their payback time is often measured in decades. Thus there seems to be no realistic way to bootstrap the energy transition (for example, by using the power from solar panels to build more solar panels) while continuing to provide enough energy to keep the rest of the economy expanding. In effect, to maintain growth, the energy transition would have to be subsidized by fossil fuels—which would largely defeat the purpose of the exercise. Business-friendly politicians seem to intuitively get much of this, and this knowledge helps fuel their continued infatuation with oil, coal, and natural gas—despite the increasing economic problems (even if we disregard the environmental problems) with these fuels. But these folks’ way of dealing with this conundrum is simply to deny that climate change is a real issue. That strategy may work for their supporters in the fossil fuel industries, but it does nothing to avert the worsening real-world crises of extreme temperature events, droughts, floods, and storms—and their knock-on impacts on agriculture, economies, and governments. So those on the left may be correct in saying that climate change is the equivalent of a civilization-killing asteroid, while those on the right may be correct in thinking that policies designed to shrink carbon emissions will shrink the economy as well. Everybody gets to be correct—but nobody gets a happy ending (at least as currently envisioned). That’s because nearly every politician wants growth, or at least recognizes the need to clamor for growth in order to be electable. Because growth, after all, is how we currently define our collective, national happy ending. So whenever facts lead toward the conclusion that more growth may not be possible even if our party gets its way, those facts quickly get swept under the nearest carpet. Masking reality with political rhetoric leads to delays in doing what is necessary– making the best of the choices actually available to us. We and our political “leaders” continue to deny and pretend, walking blindly toward environmental and economic peril. We humans are political animals—always have been, always will be. Our interests inevitably diverge in countless ways. Further, much of the emotional drive fueling politics comes from ethical impulses: perhaps for genetic reasons, different people assign different ethical principles a higher priority. Thus one politician’s concern for fairness and another’s passion for national loyalty can glide right past each other without ever shaking hands. Religion can also play a role in partisanship, along with the legacies of economic and social exclusion, historic rivalries, disputes, and atrocities. None of this can be dispelled with the wave of a magic wand. Moreover, political engagement often leads to welcome outcomes. When people organize themselves to effect change, the result can be expansions of civil rights, women’s suffrage, and environmental protection. On the other hand, when people fail to speak up, social power tends to become monopolized by a small minority–and that never ends well. So, let’s not withdraw from politics. But how to work effectively in a politically polarized environment? Hyper-partisanship is a problem in approving judicial appointees and passing budgets, and failure to do these things can have serious consequences. But when it comes to energy and climate, the scale of what is at stake runs straight off the charts. The decisions that need to be made, and soon (ideally 20 years ago! ), on energy and climate may well determine whether civilization survives. The absence of decisive action will imperil literally everything we care about. Energy is complicated, and there can be legitimate disagreements about our options and how vigorously to pursue them. But the status quo is not working. I’ve struggled to find a hopeful takeaway message with which to end this essay. Should I appeal to colleagues who write about energy, pleading with them to frame discussions in ways that aren’t merely feeding red meat to their already far too polarized audiences, encouraging them to tell readers uncomfortable truths that don’t fit partisan narratives? I could, but how many energy writers will actually read this essay, and how many of those are willing to examine their preconceptions? Perhaps the best I can do is point out the existence of a small but enthusiastic subculture that actually understands these issues. This subculture is exemplified by Transition Initiatives promoting “small-scale local responses to the global challenges of climate change, economic hardship, and shrinking supplies of cheap energy” and the premise that life can be better without fossil fuels. For better or worse, this subculture is practically invisible to political elites and the mainstream media (except perhaps in parts of the UK). Perhaps it’s fitting that this essay leaves both author and readers unsettled and uncomfortable. Discomfort can sometimes be conducive to creativity and action. There may be no solutions to the political problems I’ve outlined. But even in the absence of solutions there can still be better adaptive behaviors, and judo-like strategies that achieve desired outcomes—ones that could conceivably turn the tide on intractable global problems such as climate change—without directly confronting existing societal power structures. These behaviors and strategies can be undertaken even at the household scale, but we’re likely to achieve much more if we collaborate, doing what we can locally while using global communications to compare notes and share our successes and challenges. Cars and windmills image via shutterstock. Reproduced at Resilience.org with permission.